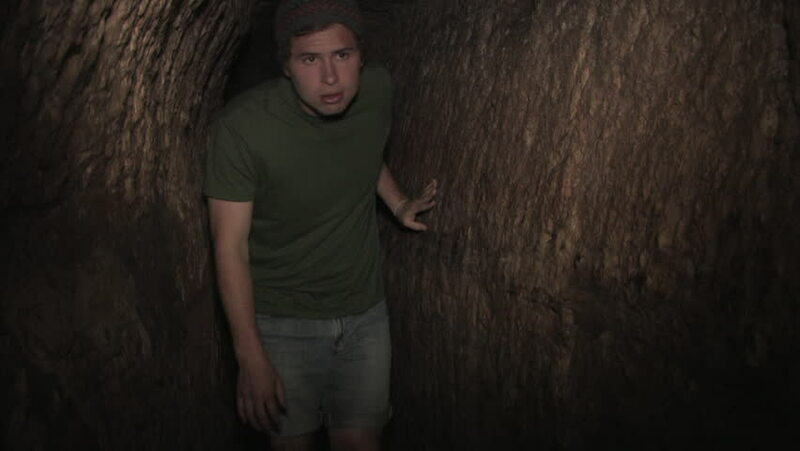 hd00:08Man walks through the Hezekiah's Tunnel in Jerusalem, Israel. hd01:00Beautiful girl in a black coat looks at his hands, turns and runs in the opposite direction, runs up to the wooden man and raises it in his hands. The action takes place in winter.